A VIEW FOR DAYS! 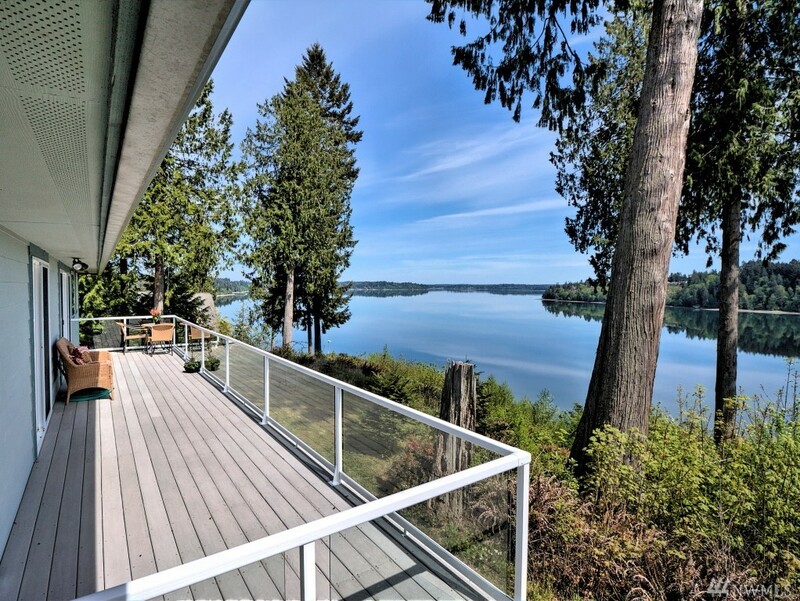 This waterfront home has incredible views of Totten Inlet. Gorgeous 3 bedroom/1.75 bath home on 2.65 acres and 150 feet of frontage on the bay. Great features include master suite with jetted tub, welcoming living room with fireplace for chilly nights, office space, bright kitchen with breakfast bar, large laundry & a huge deck. Organize your tools, projects &vehicles in the big shop and garages.